What Is the Approximate Operation Cost of Ceiling Fans? Ceiling fans are one of the most effective ways to cool the surrounding. Most of the ceiling fans are found to use as much as sixty-watt power of light bulb that equates to less than three cents in one hour. A ceiling fan can thus save your money on your monthly power bills in every season be it summer or winter. What Is the Reversible Feature of A Ceiling Fan? Most of the advanced models of ceiling fans are found to have a reversible feature. This allows the fan blades’ rotational direction to be altered at just a flick of the switch. Ceiling fans can be operated in both the clockwise and the anti-clockwise direction as per the season like during the summer days the fan blades are changed to rotate in the clockwise direction and in the chilly cold days the vice versa can create the desirable temperature within the space. How Does A Ceiling Fan with Three Blades, Four Blades, and Five Blades Differ from each other? Ceiling fans with three. Four, or five blades actually do not differ from each other in terms of their performances. The only difference lies in their designs. And another difference lies in their motor sizes. The fan with five blades consumes much more energy than the fan with four blades and the four-bladed fan consumes more energy than the three-bladed model. This means the larger the size of the motor, the more energy it will consume. Do the Ceiling Fans Having Metal Blades get Rusted very Soon? 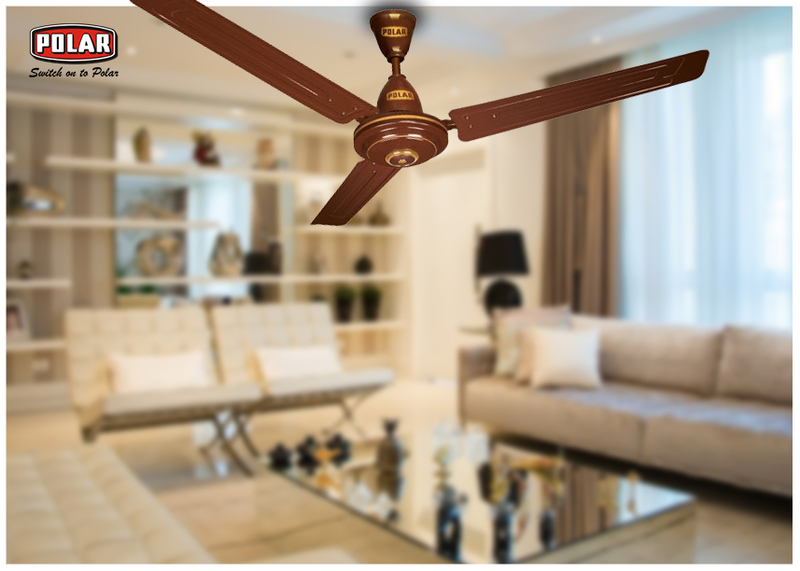 Most of the metal-bladed ceiling fans available in Polar are found to have a covering of ultra-violet power coated paint, which lowers the chance of getting rusted. However, if the fan is installed in such a room that is exposed to moisture and salty breeze then it is always suggested to use the fan with blades made from three hundred and four-grade stainless steel. But, whatever be the material, every electrical product needs maintenance. If left without any care and maintenance, the fan may acquire rust in some parts and may become dirty. Cleaning at frequent intervals is important. You can use a piece of cloth soaked in a mild detergent for cleaning the fan. These question and answers have surely made it a bit easier to make the final choice for your room. All you need to do now is to browse the latest range of 1200MM Ceiling Fans and pay for the one that will surely best suit your personal space.